Project developer says it will move swiftly if and when the 49ers leave town. With the groundbreaking of the 49ers' new stadium in Santa Clara set for exactly two weeks from today, it is all but inevitable that the team will leave its home of 41 years. 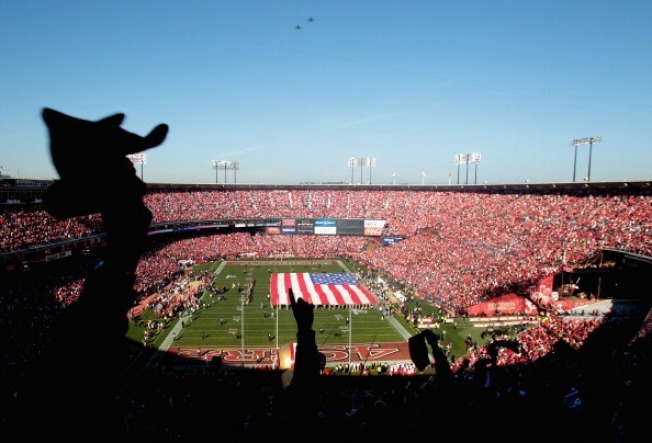 The fate of San Francisco's Candlestick Park will not be in limbo for too long. Lennar, the company overseeing the redevelopment of the Hunters Point Naval Shipyard, told The San Francisco Examiner that when the team leaves the City, plans to demolish the stadium will be put into high gear. "If and when the 49ers abandon Candlestick, we will initiate discussions with The City to accelerate plans to demolish the stadium," Kofi Bonner, Lennar Urban’s president, told the paper. 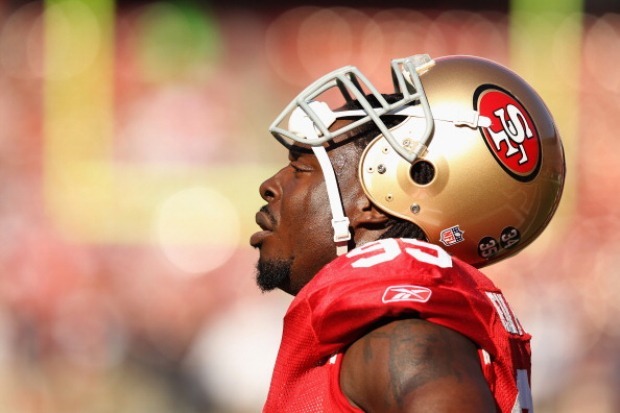 The 49ers hope to be in the team's new $1.2 billion stadium in Santa Clara by the 2014 season. If that happens, the City would plan to demolish the aging Candlestick Park and replace it with 6,000 new homes. 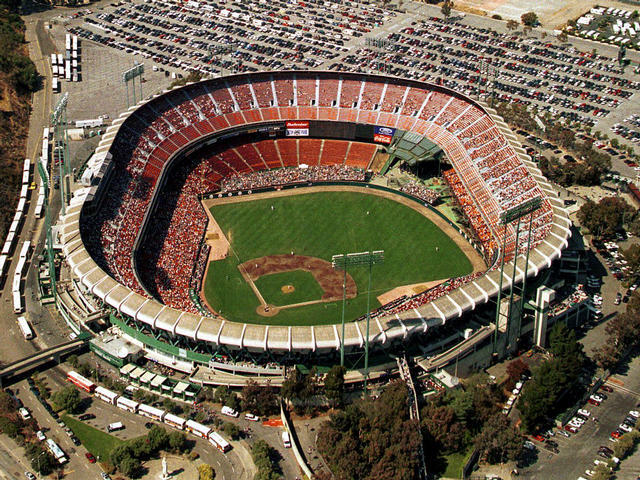 The below photo is from more than a decade ago when Candlestick Park was home to the San Francisco Giants.